Dubai: It was a precision-driven event of unprecedented proportions. 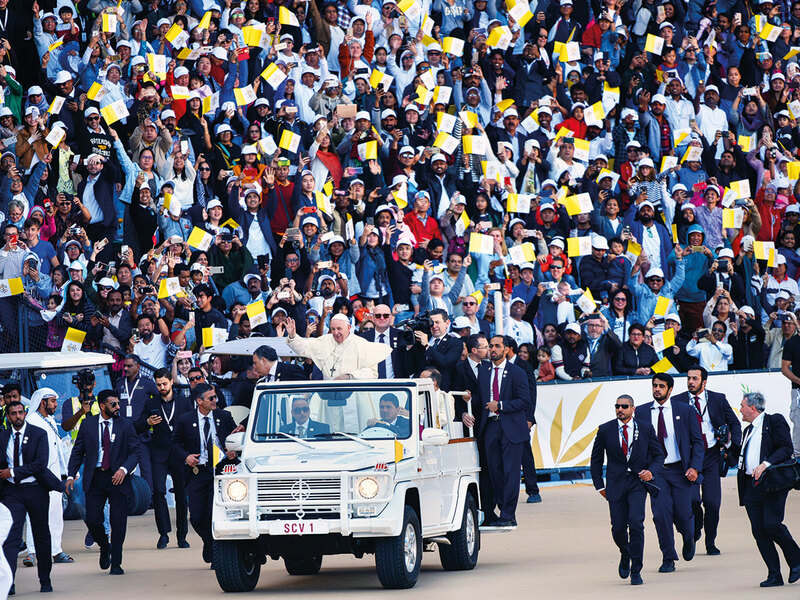 Pope Francis, the Head of the Catholic Church celebrated a historic Papal Mass to 180,000 Catholics in the United Arab Emirates, which was televised around the world earlier Tuesday. The scale of the gathering, which took place at Zayed Sports Stadium in Abu Dhabi, saw people travel hours and days to be part of the event. There was no scope for error. And as the Gulf News team walked in through the entrance, as morning broke over the Capital skyline, there was no mistaking the air of efficiency. The gates were manned with speed, security tight with mounted police in place and hundreds of volunteers helping people reach the right entrance or access the required facilities. And all of it done with a smile. As per a press release issued on the event, there were “1500 paramedics, police and security staff on duty to ensure the safety and security of the people attending the Mass. There was also global media covering this historic moment for the UAE and the world – 250 international journalists and 350 from within the country. As for the mass itself, it was done with clockwork accuracy, right down to the minute, while never compromising the sanctity of the experience at any time. Elements of the 90-minute service were conducted in Italian, English, Arabic, Tagalog, Hindi and Korean. Once it concluded, volunteers ensured that people were guided to the various exit points and free bus services available – there wasn’t a single hitch, just like the entire experience.